Our lives are hectic, leaving us with little time for proper self-care. We all need to learn to take charge of our own health. 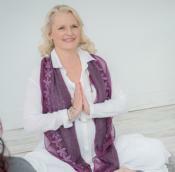 This workshop is about awakening the healer within each of us. The course will teach you about the energy that is within and around you, and how it flows in your body. This energy can become stagnant or blocked, adversely affecting our health. Each of us, within our own body has the innate ability to heal ourselves and experience optimum health. You can easily learn how to do this for yourself! 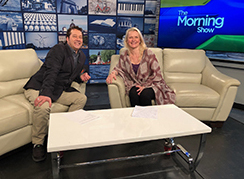 Recently talked with Bill Welychka on CKWS-TV’s Morning Show about ways to balance our energies naturally. Click here to view some examples in this short video segment! In this class you will learn the techniques for a daily 5-minute routine. The routine can be easily incorporated into anyone’s daily schedule, no matter how hectic it may be. It is easy to learn, and can be done anywhere: while traveling, in the shower or bathtub, or at your desk. You will be shown many techniques in the class. You will learn things such as, how to relieve anxiety and stress, nervousness and fear. Techniques for insomnia, jet lag, how to better your eyesight, alleviate pain naturally, lower a fever, and fight off an oncoming cold will be demonstrated to you. 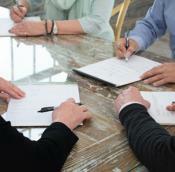 They can also help you deal with challenging situations such as, meetings, interviews, negotiations, conflict etc. Specific issues for women will be addressed as well: breast care (how to safeguard your breasts), weight, hormone imbalance, menopause and many more. All of the exercises taught are designed to help balance your entire system for improved health and well-being.